It’s been a relatively mild November here in Minnesota (today is our first real snow) and my go-to coat for the month has been this black-and-white houndstooth swing coat.The swish of the fabric as I walk feels flirty and luxurious. The swing coat’s open front is perfect when a chilly morning turns into a more temperate fall afternoon. Because swing coats were originally designed to cover those voluminous 1950s full skirts, they are also easy coats to wear with today’s layers. Swing coats also wonderfully offset the slim designs of tight-fitting wiggle dresses and suits of the 1950s. This is the look featured in the November calendar image on my Style 2015 wall calendar. Of course this elegantly sketched model carries off the post-war style with a bit more panache. After all, she has the Arc de Triomphe within walking distance. How many decades has this coat seen? How many floral, full-skirted dresses with flouncy tulle petticoats has it covered? 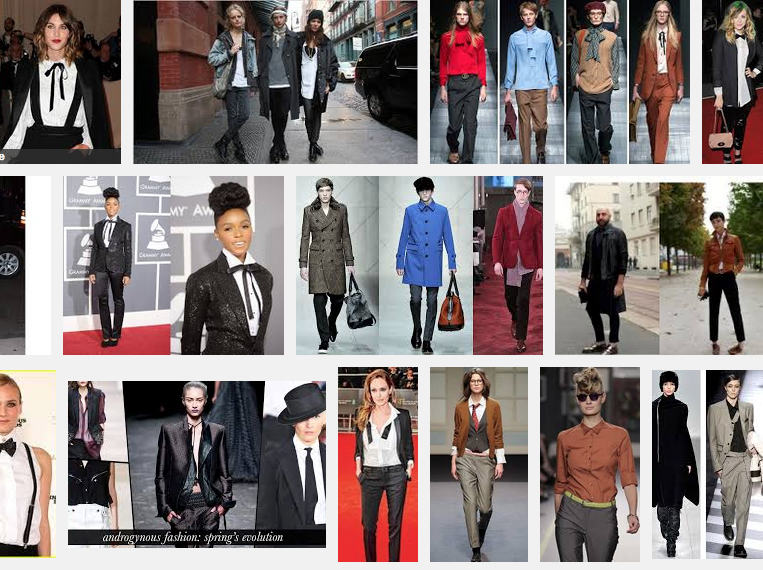 What skinny wiggle dresses or fitted smart suits has it complemented? Did it once grace the shoulders of a 1950s secretary strolling on Nicollet Avenue in downtown Minneapolis? Just as we recently witnessed a 1950s revival under the influence Mad Men (which premiered in 2007), movies and television shows (like Happy Days, which ran from 1974-1984) set in the 1950s inspired a “Back to the Fifties” fashion revival in the 1980s. This raises the question of how did I know the coat was from the 1980s and not the 1950s? It was just an intuition when I picked up the coat – something about the fabric and the shoulder pads, that Hayley, the shop owner of Lula Vintage, confirmed. 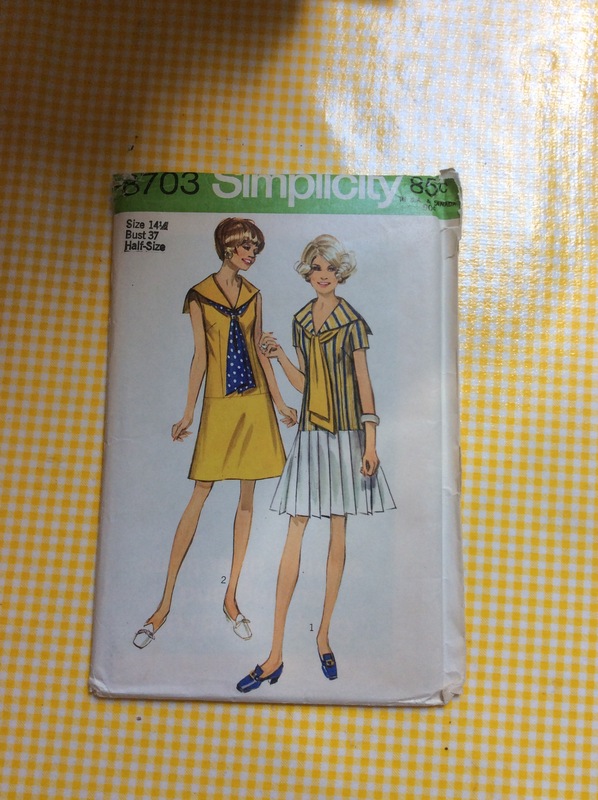 Chronically Vintage has a great blog post on how to tell genuine 1940s and 1950s clothing from the Eighties-does-Fifties reproductions. The surged seams on my coat, and the fact that it’s a size Small, for example, are dead give-aways. 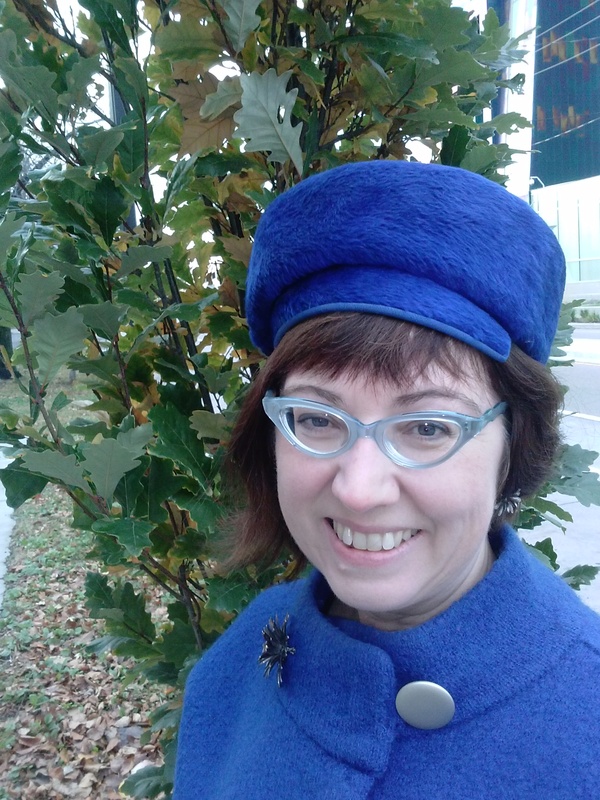 Nonetheless – now that my swing coat has 30 years under its lapels – it’s “authentically” vintage and I love it, even if I don’t have the tulle petticoat as skirt to wear it for its full 80s effect. A couple of days ago I was looking through photos from the late 1980s. When I first started to wear vintage, androgyny was cool. I would wear men’s trench coats or suit jackets and over-sized shirts over a pair of leggings or a black pencil skirt, a necktie in my hair as a headband. 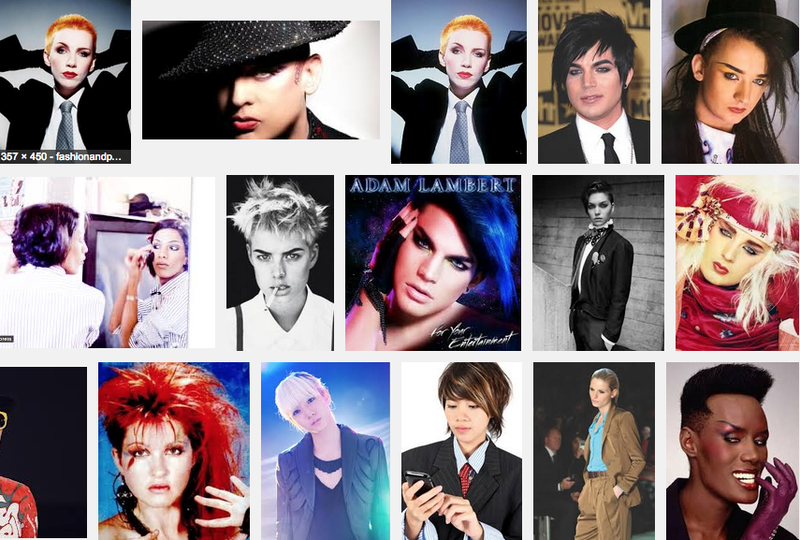 I felt both whimsical and confident in androgynous vintage looks like these. This “jumble style” was also how vintage style was initially interpreted in the 1980s. 1980s vintage was influenced by Punk subculture – ripped tulle skirts, topped with a black jacket, and torn men’s long underwear, dyed black (the original leggings). Similar to the sartorial savvy person in the New York Times article Angela McRobbie described late 80s vintage style as “pure pastiche,” that “plays with norms, conventions and expectations of femininity, post-feminism.” McRobbie also discussed 1980s androgynous style as “never unambiguously butch or aggressive, it was slim, slight and invariably ‘arty.’” When I look at 80s images of androgynous style (featuring pop culture icons like Grace Jones, Boy George or even Annie Lennox) I see parallels to the androgynous dress featured in Times. 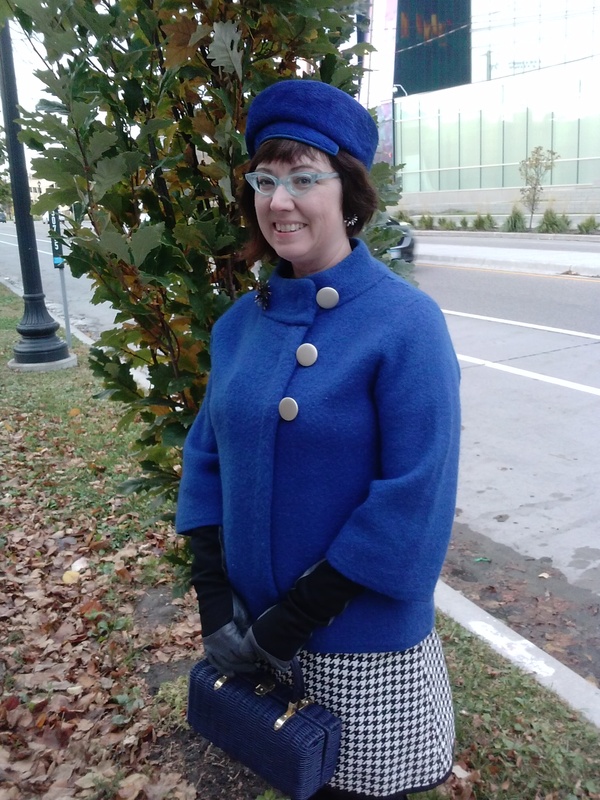 Both time periods feature colorful hair, loose-fitting coats, black stockings, bow ties and vintage items. Compare for yourself in the photos above (from Google images). I’m back! Where have I been? It turns out I have been reading about one thousand magazine and newspaper articles published since 1950 on secondhand and vintage clothing. 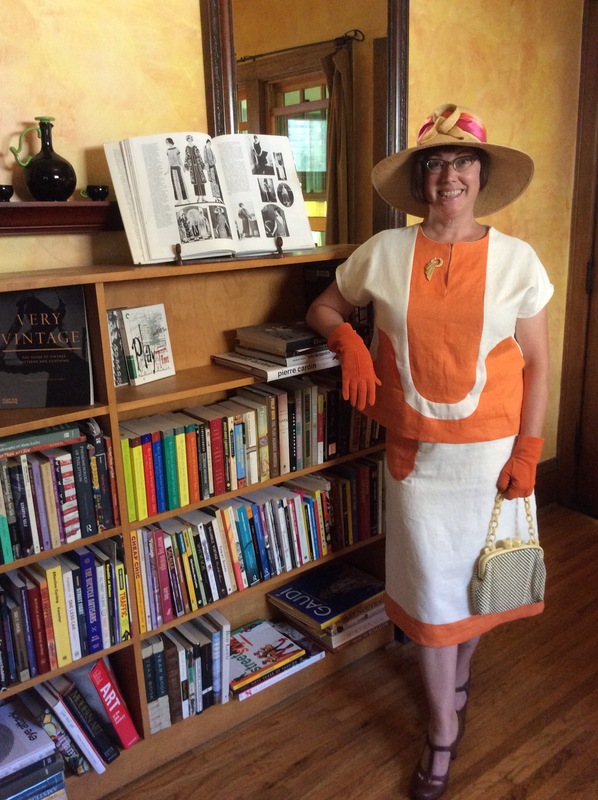 I wanted to uncover the history of the vintage fashion trend, and find out how wearing secondhand clothing shifted from being viewed as rather pitiful to vintage chic in the United States. It was an interesting journey. I learned that (at least in the United States press) the word “vintage” was first applied to clothing in 1957 when the Chicago Tribune referred to new clothing that recollected 1930s looks as “vintage.” Then the meaning of “vintage clothing” was that the 30s-looking clothing, like well-aged wine, reflected good years for style. Ten years later, the New York Times reports that a 1966 London trend of wearing old clothing as street style has crossed the pond. This category of fashionable old clothing came to be called “vintage clothing.” I also learned that fashion magazines considerably trailed the newspaper press in announcing the vintage clothing trend. While New York clothing dealers worried that there was going to be a shortage of vintage clothing because the market was so hot through the 1970s – even department stores were selling it – it wasn’t until 1979 that Vogue magazine rather dismissively announced a “boom in vintage clothes.” Not surprisingly perhaps, I discovered that 1970s vintage consumers were looking for the same qualities in vintage that we love today – unique, high quality clothing that is sourced in a more eco-conscious way than newly made clothing. 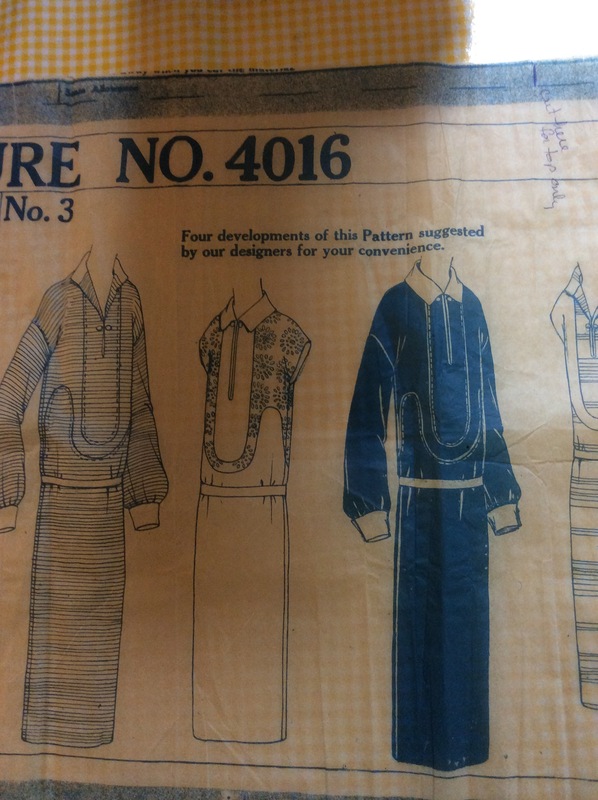 If you’re interested in finding out how vintage clothing was talked about as it emerged as a trend, you can read my article, “Vintage, the First 40 Years: The Emergence and Persistence of Vintage Style in the United States” in the journal Culture Unbound: Journal of Current Cultural Research. The article is part of a special issue on Circulating Stuff through Second-hand, Vintage and Retro Markets. I’d like to thank the editors Staffan Appelgren and Anna Bohlin for putting together a great issue! Is it Vintage, Retro or Secondhand? Identify that Retrorama Dress! Last weekend I attended one of my favorite vintage events in the Twin Cities: Retrorama at the Minnesota History Center. 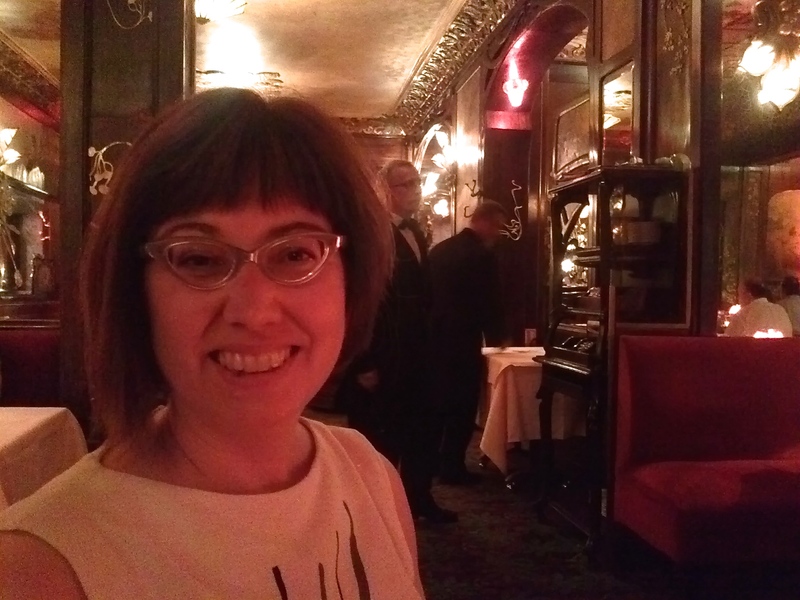 It’s the one night of the year when I blend into a crowd, wearing a vintage 1960s black lace cocktail dress and my ice-blue cat-eye glasses! Retrorama has me thinking about some questions that I am frequently asked: What makes a garment “vintage”? Does “vintage” differ from other types of secondhand / used clothing? And does “retro” mean the same thing as “vintage”? I’ll use some photos from Retrorama to answer those questions. But that’s my definition. Hayley Bush, the owner of Saint Paul’s Lula Vintage informed me that, for the purposes of obtaining a business license, the City of Saint Paul defines “vintage” as clothing that is 25 years or older. Why, you might ask, would a city bother to define vintage? I suspect the answer is to distinguish vintage clothing stores from ordinary secondhand and/or thrift stores, which have less cultural cache. It turns out cities regard secondhand clothing stores as a possible indicator of urban blight (and perhaps they associate vintage clothing stores with gentrification or urban revitalization). For example, the City of Minneapolis has an ordinance that regulates that pawn shops, homeless shelters and secondhand clothing stores must not be located close together. Is it fair to assume all secondhand stores will encourage a downward spiral of a neighborhood’s economy? Probably not. But I digress. My digression brings me to the next question: What is secondhand? Secondhand clothing is the umbrella term for all used clothing, whether 20+ years old or younger. So “vintage” is a special type of secondhand clothing. So ordinary secondhand is the dress from H & M that you found at Buffalo Exchange. It’s also most of the apparel that populates thrift stores and, on the more upscale end of the continuum, the clothing at consignment stores. However, I prefer Wikipedia’s definition of “retro”: “Imitative of a style, fashion, or design from the recent past.” The key word here is “imitative,” thus suggesting that “retro” is “repro” – it’s a reproduction of a past fashionable look. I prefer this definition because it keeps “vintage” and “retro” distinct. Why am I so fussy about “retro” versus “vintage”? It’s the authenticity issue – vintage is a genuine artifact from the past. For example, when I pick up a vintage dress, I can tell something about what colors were once in vogue. I can tell how clothes were made to have a different fit reflecting earlier ideas of what a body should be doing (for example, armholes were higher, encouraging straighter posture for the wearer). That’s why I think it’s important to know what is vintage versus what is a reproduction. But, I’ll admit, the real-deal vintage gives me a thrill. 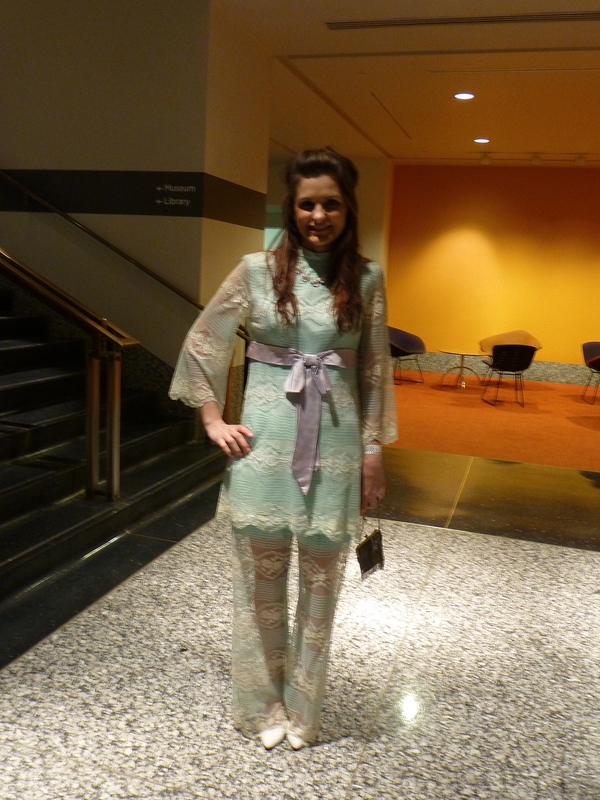 Here was my favorite vintage look from this year’s Retrorama – dig the matching lace pants to that empire-waist tunic! 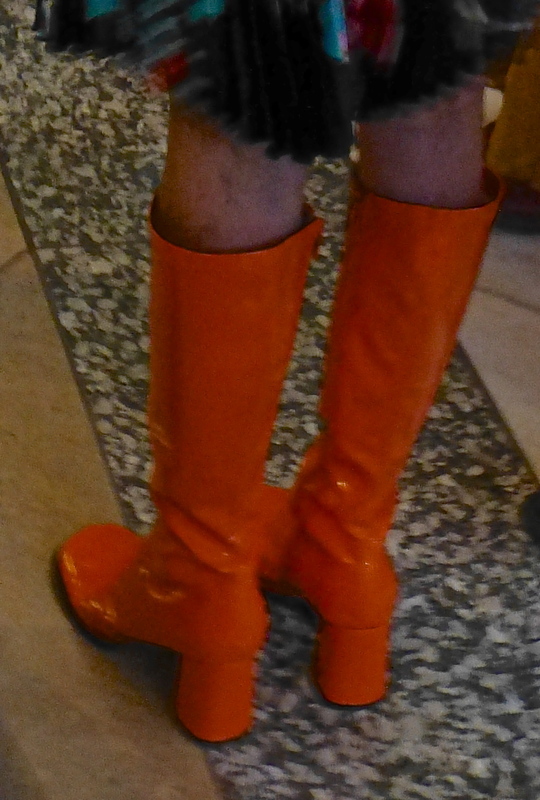 Want to see more Retrorama fashion? 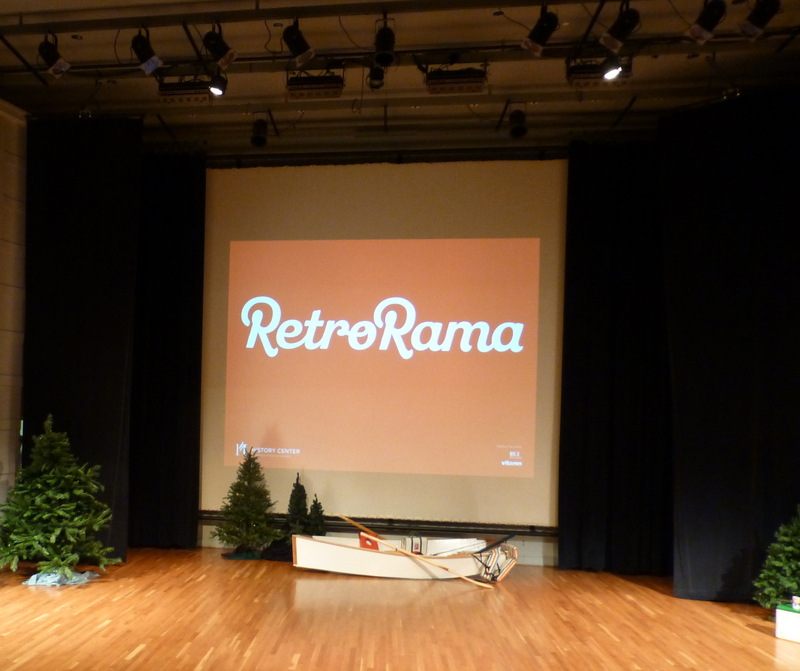 Here’s a link to the Retrorama Runway photo stream. Enjoy!